Think you know everything there is to know about cooking sous vide? Think again. We take a look at just some of the ways chefs and home cooks are using sous vide in new and exciting ways. Once you’ve identified the perfect temperature and time for cooking eggs, served steaks so perfect friends are coming round for dinner far too often and know your way around fish, vegetables and large joints of meat, you might think you’ve tried everything sous vide can cover. 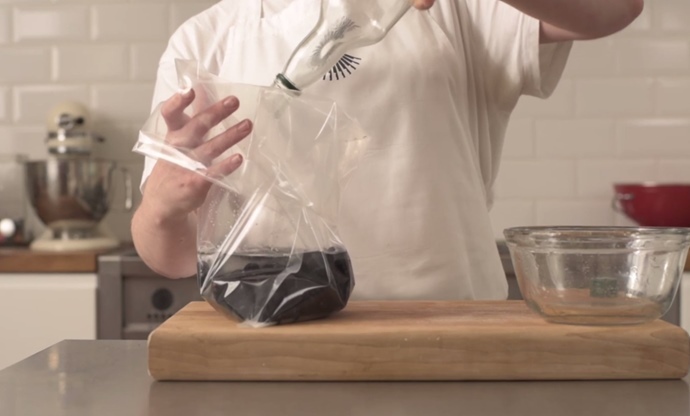 But thanks to the latest wave of home cooks and chefs experimenting with the technique, new ways of using vacuum pouches and water baths are being discovered all the time. We’ve put together a snapshot of some of the latest developments, but new methods are being discovered all the time – be it in giant development kitchens with brigades of chefs or an amateur cook who had a bright idea that worked. There are five ways to flavour spirits: compounding (adding artificial or natural flavours to the spirit), adding flavour during distillation (which is how gin is made), maceration (muddling ingredients into the liquid), infusion (adding an ingredient to alcohol and leaving it over time to impart its flavour) and percolation (heating the spirit to quickly infuse flavours). Percolation is seen as one of the most effective methods, but there’s traditionally been a problem with this; the alcohol evaporates at a lower heat than the water, leaving you with an alcohol-free spirit. We use this lots in cooking (flambéing beef in brandy, for example), but people expect alcohol in their cocktails, so it’s a little more tricky. This is where sous vide comes in. By heating the spirit in a vacuum pouch, there’s nowhere for the ethanol to evaporate to, so it stays put in the liquid. It is, essentially, a speeded up version of infusing, but results in a more vibrant, richer and full-flavoured spirit that takes nowhere near as long as traditional methods. It also means you don’t need to store big glass jars of spirits for months on end and instead create small amounts of different flavoured spirits for a well-stocked cocktail cabinet. 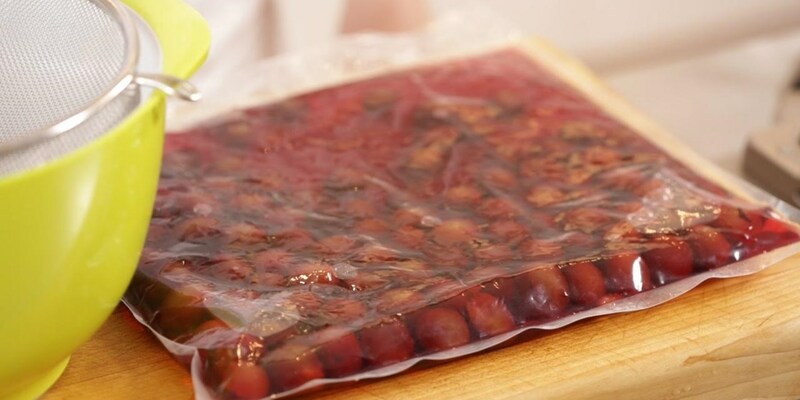 Check out our easy method for making sloe gin sous vide. Most of us buy cheese and yoghurt from the shops under the impression it’s just not worth the hassle to make from scratch at home. 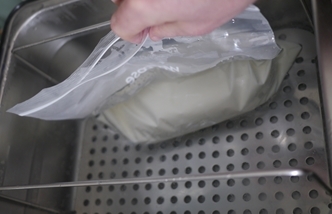 But with a water bath, it can be as simple as pouring some milk in a bag and leaving it to heat through. 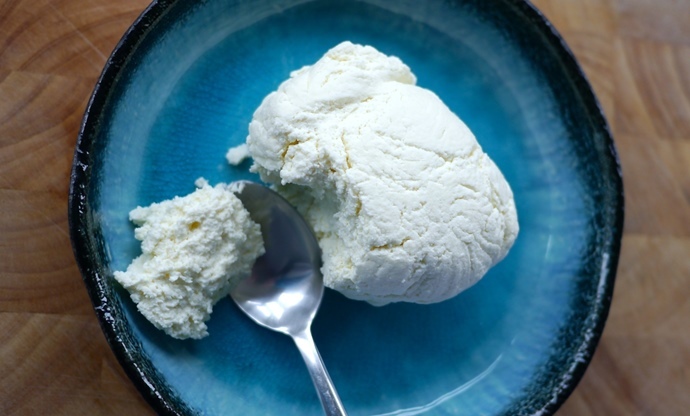 In fact, making fresh ricotta sous vide involves hardly any effort whatsoever, is ready in under two hours and there’s hardly any washing up afterwards. If you’re serious about making cheese at home, don’t just stick with fresh varieties. You can combine the milk, rennet and culture in a plastic bag and cook it in the waterbath, then strain, salt and age it in the same way as normal. Even crème fraiche can be made with a mixture of double cream and buttermilk; they just need to be mixed together and left to gently heat in a water bath for several hours. Homemade yoghurt needs incubating in order to stimulate all the bacteria which thickens and flavours the milk. It’s vital to keep the jars at a consistent, precise temperature for several hours; too hot and the bacteria dies, too cold and they will lie dormant. A water bath is perfect for jobs like this, and you’ll be rewarded with perfect yoghurt time after time. While this won’t work if you own an immersion circulator, a water oven can be used to heat up much more than just water. Cooks have started to use them like very precise stockpots, placing a mix of bones, roast vegetables and water inside and leaving them to slowly cook over twenty-four hours, resulting in wonderfully fragrant stock. The same applies to cooking thin soups and broths. Best of all, you don’t need to use any pouches – just a quick clean after it’s done and you’re ready to cook again. Michelin-starred chef Sat Bains even fills his with melted butter, so he can rest meat in it right before service! These are just a few of the recently discovered things sous vide kit can be used for. There’s bound to be more exciting, revolutionary techniques out there just waiting to be discovered; finding them is up to the chefs and home cooks who are part of this revolutionary wave of modern cooking.